Dr. Jose Villagomez is a leading family practice doctor, serving patients in the Culver City and Marina Del Rey area of Los Angeles County. Fluent in both English and Spanish, Dr. Villagomez is committed to offering his patients highly-skilled care for a broad array of medical and health issues. His compassionate approach combined with his level of skill and experience have earned him the reputation of a top-quality healthcare provider, favored by patients of all ages and backgrounds. 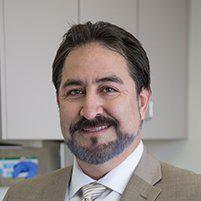 Dr. Villagomez is a Southern California native, born and raised in Sonoma County. After completing a bachelor of science degree in biology, Dr. Villagomez earned his medical degree at the University of California – San Francisco (UCSF) School of Medicine before completing his residency in emergency medicine at Los Angeles County – University of Southern California Emergency Medical Center in 1999. The following year, Dr. Villagomez co-founded the Sana Medical Group with colleague Dr. Eugenia Moreno. He also maintains affiliations with four of the area's leading hospitals to ensure patients throughout the area get they care they need for acute and chronic healthcare needs. Dr. Villagomez is dedicated to learning new and emerging techniques and approaches to both diagnosis and treatment of illnesses and diseases, so patients in the Los Angeles area can feel confident they're getting the best care possible. A strong believer in patient education, Dr. Villagomez makes sure each patient receives individualized care based on in-depth evaluations of physical and emotional health as well as comprehensive personal and family health histories, providing each patient with the information they need to make critical healthcare decisions at every stage of life. Family/General health care diagnosis, treatment, laboratory tests, medication, follow up care, and specialty referrals. Dr. Eugenia Moreno was born, raised, and educated in Los Angeles. She did her undergraduate work in Psychology at the University of Southern California and went on to medical school at UCLA David Geffen Medical School. She completed her family practice residency at California Medical Center in downtown Los Angeles. After her residency she worked at Mullikin Medical Group in the city of Montebello. Dr. Villagomez, and Dr. Moreno opened the doors of Sana Medical Group Inc. in 2000. Dr. Moreno always had a genuine concern for all her patients and was passionate about the work she did. She was described by those who worked alongside her as loving, devoted, hardworking, sweet, and kindhearted. In an effort to celebrate and honor Dr. Eugenia Moreno and Dr. Juan Villagomez’s commitment to their community and their patients, Sana Medical Group Inc. is supporting the CaLMA Juan Villagomez Humanitarian Scholarship Award and Eugenia Moreno Memorial Scholarship Award. Please go to Calma.org for more information. Dr. Juan Villagomez was born on March 24, 1958 in Willits, California. He attended the University of Santa Clara where he received his Bachelor’s degree. He received his Doctorate from the University of California San Francisco School of Medicine. Dr. Juan Villagomez was honored with the Humanitarian Award by the National Council of Christians and Jews and was recognized as a true humanitarian with the first ever "Por Ecclesia y Pontifice" Award for layman in the Catholic Church in 1999. He was the Founder and President En Memorium for CaLMA (the California Latino Medical Association). Dr. Juan Villagomez had a busy family medicine clinic and urgent care called Westside Medical Group and then Sana Medical Associates. Dr. Juan Villagomez under Sana Medical Associates united Jose Villagomez, MD and Eugenia Moreno, MD to establish Sana Medical Group. Unfortunately, their untimely deaths have been a great loss to family, friends and patients. University of California Los Angeles Master of Science in Nursing Katharine Piuze is a Los Angeles native. She studied for her undergraduate degrees in Illinois, obtaining a biology degree from Wheaton College and a nursing degree from Rush University. She then went on to UCLA to become a family nurse practitioner. Katharine worked at UCLA as an RN and then at Arroyo Vista Family Health Center as a Family Nurse Practitioner before coming to work for Sana Medical Group. California State University Los Angeles Master in Primary Adult Ambulatory Care Angeles Shiffman is a native of Mexico City. She has been with Sana Medical Group since 1998. Before coming to Sana Medical Group she worked as a RN at UCLA Medical Center. She attended California State University Los Angeles and received a Bachelor of Science in Nursing. She continued her studies at Cal State Los Angeles in Adult Primary Care and is a certified Nurse Practitioner with fifteen years plus of experience. The Sana Medical staff is committed to providing the highest quality healthcare, serving patients with sensitivity, respect, compassion, integrity, and humility. Our staff is made up of a variety of nurses ready to provide excellent and friendly medical assistance. We value our patient’s individual medical needs. We ask that you think of us as your partners in better health. We will do our best to merit your continued trust. If you have an issue, you feel can be handled by a nurse, please call during office hours (9am-5pm). If you have a billing concern or an insurance matter, please call our accounts manager and they will be more than happy to resolve the matter with you. The fees charged at Sana Medical Group is subject to change. These fees are for cash only and/or uninsured patients. The fees and charges are also based on contracts with the multiple insurance companies and or public and private entities that entitle us to collect co-payments and deductibles for services provided. In addition to the visit fees, please call for questions about possible fees that will increase charges such as laboratory, EKG’s and other procedure fees. There is a $15 to $25 charge for certain official documents and/or forms. It is on the discretion of the physicians to modify fees credited to the patient at the time of visit. We are excited that you have chosen Sana Medical Group for your healthcare needs. Prior to your first appointment, please fill out the forms listed below and bring them to your appointment along with your medical insurance card, if applicable. Please plan to arrive at least 20 minutes prior to your scheduled appointment time so we may review the forms. Download the Authorization to Release Medical Records Form here and send it to your current physician. This will authorize the doctor's office to forward your medical information to Sana Medical Group. Download and review the Patient's Bill of Rights. If you have any questions, please contact us. Sana Medical Group participates in the VFC programs created to meet the vaccination needs of children from birth through 18 years of age. Please call and make an appointment with our nurse practitioner for your children’s vaccinations. Please bring old vaccination records to assist our staff in keeping your records. You can register via CAIR Registry:www.cairweb.org. New pediatric recommendations for 2014 are stressing prevention against Pertussis with the TDAP vaccination. The flu season is upon us and we recommend that all children receive their yearly flu vaccine. Please note some may need two injections to be properly immunized. We offer Gardasil vaccines for prevention of Human Papilloma Virus (HPV). It has recently been expanded to include males. Our female patients are informed and if requested, vaccinated to prevent contracting HPV and the risks associated with cervical cancer from human papilloma virus (HPV). *Providers may charge cash patients who have no insurance and administrative fee up to the maximum of $26.03 per dose. Sana Medical Group administrative fee is $10 per dose. **Underinsured means you may have health insurance, however it may not covered all vaccines, or it may only cover selected vaccines or a fixed dollar limit for vaccines. If that is the case children are eligible for the non-covered vaccines or after capitation dollar limit has been reached. Underinsured children are eligible to receive CFC supplied vaccines only at Federally Qualified Health Centers (FQHC) or Rural Health Centers (RHC). Sana Medical accepts all PPO Insurance available in California and will continue to accept Medicare/Medi-Cal and Medicare only patients. We currently accept HMO insurances with patients in Medicare Advantage, HMO Medi-Cal, HMO Commercial Plans. Be aware that some insurance products may not be offered in all HMO plans so you must verify prior to adding a particular HMO IPA. For example Anthem HMO commercial plan may be offered but exclude its Senior Secure Plan in the same IPA. Please be aware that at any given time some IPA’s may cancel and or add insurances at will and the information above can be incorrect but we try to provide the most up to date information as of August 2013. "Dr. Villagomez is a great doctor with great bed side manners. He took his time, wasn't in a hurry, and was very thorough in asking questions and making a diagnosis." "I've been seeing Dr. Villagomez for about 6 years now and he's great! The experience is very personable and never feels rushed which is extremely important." "The customer service that I received in the last two visits have been phenomenal. Dr. Villagomez is awesome and so is his staff." "Dr. Villagomez was very thorough and informative in diagnosing my situation. It's an a pleasure to have him as my primary physician."